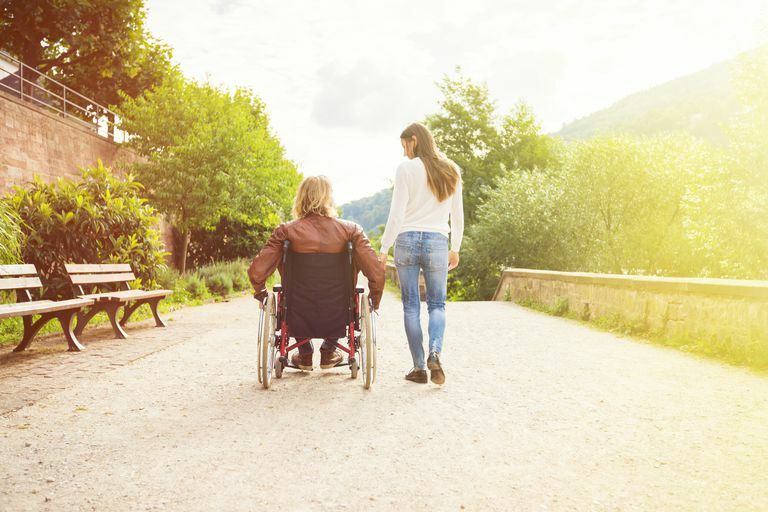 If you experience limitations in your muscle strength, coordination, or vision due to multiple sclerosis (MS), a mobility assistive device can give you more independence and help you conserve your energy as you get around. Keep in mind that you can have these problems all the time or intermittently with MS, so your needs may change routinely as well as over time with disease progression. Selecting the right device can help give you back the quality of life you deserve. One misconception about mobility assistive devices in MS is that they are used only if you physically cannot walk. But these devices can help you manage a number of your MS-related symptoms, and there are a number of factors that determine whether you could benefit getting one. There are a number of different types of mobility devices that can help you if you have MS. Deciding which to use should based on your needs and comfort level, as well as convenience and cost. You should make this decision with the help of someone who has experience in assessing and selecting assistive devices for people who have MS, like your physical therapist. And be sure to get some help as you learn to use the device as well. If physical balance or spasticity is an issue for you, a cane or a walker may be what you need. A rollator/rolling walker may not be best if you have these concerns, but may be useful if you have moderate muscle weakness on one side of your body. An orthosis or brace can reduce the effects of muscle stiffness or decreased muscle tone, helping give you more control as you walk. If fatigue is one of your limitations, you might consider using a power-assisted wheelchair as needed. For example, you might use one to navigate through a large store as you run your errands, but you may not need an assistive device at home or at work. When you have severe weakness in your legs, regular use of a manual or motorized wheelchair can help (or may be necessary). If you have moderate muscle weakness on one side of your body, a motorized scooter may be a suitable option. Keep in mind that you may need one assistive device at home and another when you are out, or you may need one device for stairs and another for walking on a flat surface. Some devices fit into a car, and you can ride public transportation more easily with less bulky assistive devices. How you plan to use what you select, then, may play into your selection. The cost may be a factor as well. A cane, a brace, a walker, or a scooter can cost several hundred dollars, while a wheelchair can cost a thousand dollars or more, with motorized wheelchairs and scooters costing more than non-motorized models. Your health insurer may cover some or all of the cost, but it often depends on the insurer's policies. It is important to note that mobility assistive devices are just one way to cope with walking problems. To maximize the benefits of a mobility device, you can also use other techniques to improve your strength, reduce some of the symptoms of MS, and optimize your environment. The arrival of a mobility device into your life can be an emotionally conflicting time. On the one hand, you may look at the device as a symbol the impact MS has had on your life, and this can lead to feelings of anger, sadness, denial, and fear for the future. On the other hand, your device may give you more freedom and independence, allowing you to safely and more easily embrace life. Voice any concerns about this transition to your MS doctor, nurse, or a therapist. They can help you move forward confidently and at your own pace. Rice LA, Isaacs Z, Ousley C, Sosnoff J. Investigation of the Feasibility of an Intervention to Manage Fall Risk in Wheeled Mobility DeviceUsers with Multiple Sclerosis. Int J MS Care. 2018 May-Jun;20(3):121-128. doi: 10.7224/1537-2073.2016-097. Rice L, Kalron A, Berkowitz SH, Backus D, Sosnoff JJ. Fall prevalence in people with multiple sclerosis who use wheelchairs and scooters. Medicine (Baltimore). 2017 Sep;96(35):e7860. doi: 10.1097/MD.0000000000007860.